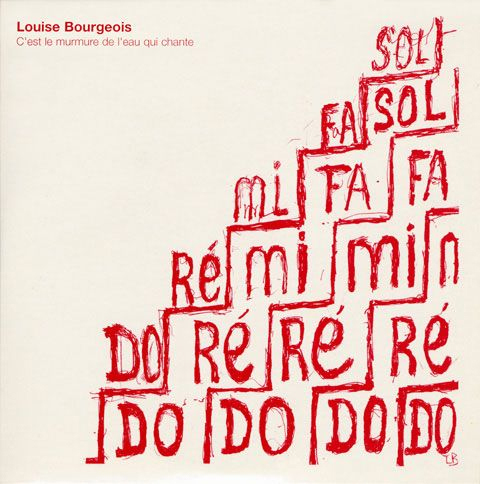 at ‘C’est le murmure de l’eau qui chante’ (It is the murmur of the water that sings) Louise Bourgeois sings 22 short melodies and children’s songs. In a remix by Frederic Sanchez, the material is transformed into an electronic fantasy. 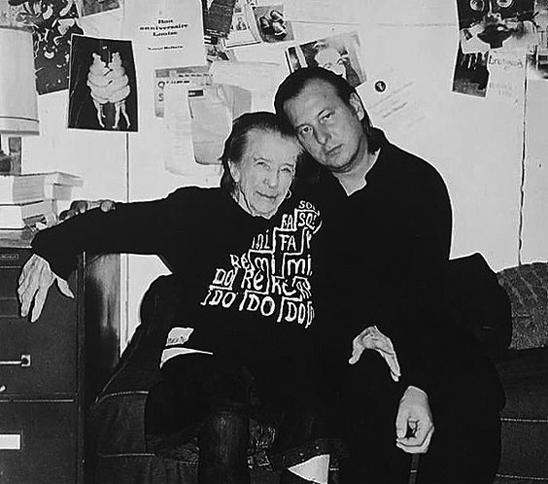 Helmut Lang has designed a limited edition T-shirt, showing a drawing (photo left) by Louise Bourgeois, she used also for the front of the cd. at right side of the shirt he printed the text ‘What is the Shape of this Song’.